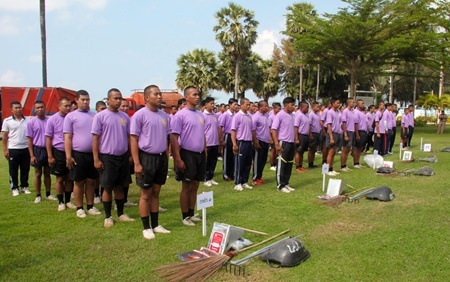 Sailors and officers in the Royal Thai Fleet came ashore to hit the beach for a cleanup in honor of HRH Princess Sirindhorn’s 60th birthday. Vice Adm. Somsak Wanitcharoen presided over the cleanup at Ao Dongtan Beach. 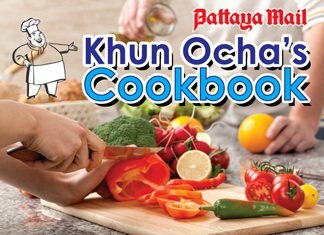 He was joined by senior officers, representatives from the state agencies in Sattahip and sailors. With April 2 marking HRH’s fifth-cycle birthday, the government has designated all of 2015 to be a year of celebration. 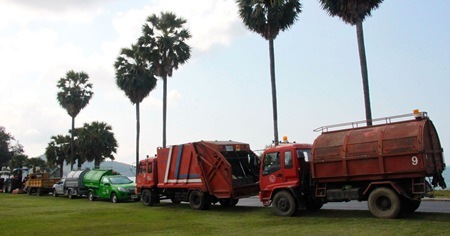 Therefore, the Royal Thai Fleet held the commemorative event by joining hands with the state agencies in Sattahip, including navy divisions, Sattahip District, and the Khet Udomsak and Sattahip municipalities, to improve the coastal landscape and collect rubbish. 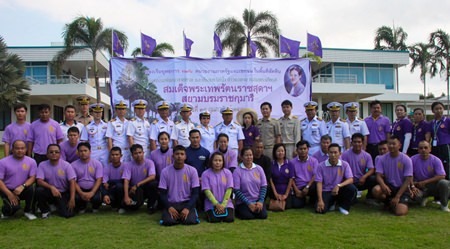 Community minded citizens join sailors and naval officers preparing to hit the beaches for a cleanup in honor of HRH Princess Sirindhorn’s 60th birthday.